Preschool children are one of the most fun age groups there are. Your preschooler is past the dependent baby stage and right on the edge of an independent life. He’s full of curiosity, a bundle of energy, and probably going non stop at a hundred miles an hour. He may be changing so fast you sometimes feel that you don’t recognize your own child. Every toddler is different, but here we’ll look at some of the new abilities, skills, and behaviors you can expect to see in your child as he turns four years old and begins striding out for five. You’ll notice a change in your toddler’s social behavior as he hits the preschool years. No longer is your child a loner, happy in mommy and daddy’s company but uninterested in relationships with children this own age. Preschoolers typically prefer the company of children to that of adults, and your little son may begin to prefer playing with small boys while your little daughter seeks out other little girls to socialize with. Preschool children are usually fond of pretend play, and they may have highly active imaginations. They are learning to empathize with other people’s joy and sadness, and can be strongly affected by a sad story or a scary film. Your toddler may suddenly become competitive, and care very much whether he wins or looses at simple toddler games. He may have secrets with other children or with you, and whisper about them in corners. He probably will love to help you around the house; emptying the dishwater, sweeping the floor, or watering plants. 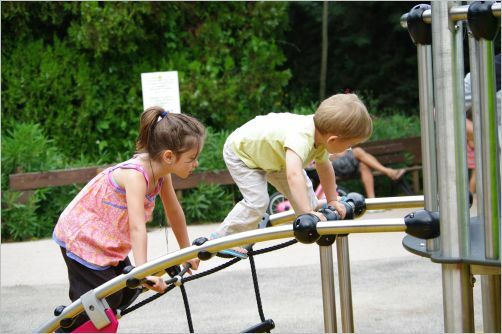 Your child’s motor skills should be blossoming daily. He should be able to build houses, or put linked blocks together in imaginative ways. He’ll be comfortable handling a ball, and can both catch and throw. He can jump up and down and gallop as well as run, and he should be able to walk down the stairs without going on his hand and knees. You’ll notice an improvement in his fine motor skills as he colors coloring pictures or cuts out shapes—he’ll be much better at keeping the majority of his coloring within the lines, and will be able to cut out very nearly what he wants to. Social and motor skills are not the only areas in which your preschool child is rapidly developing, however. Your child’s ability to think critically, reason things out, and use language for all his communication needs is also improving day by day. Preschool kids should be able to classify objects by size, shape, or color, and they probably know the names of at least three or four colors. Your preschool child can probably copy a simple circle or square, and count or recognize groups of up to four objects. He probably knows how old he is, and if he draws a picture of himself it’s likely to have a head, arms, and legs—maybe even hands. He can speak clearly, using sentences, and he knows how to put his sentences together to make a story. He enjoys listening to stories, and can laugh at the funny parts. Preschoolers enjoy jokes and silly language, and can act out simple stories. They understand the all-important word because, and can figure out basic cause-and-effect relationships. 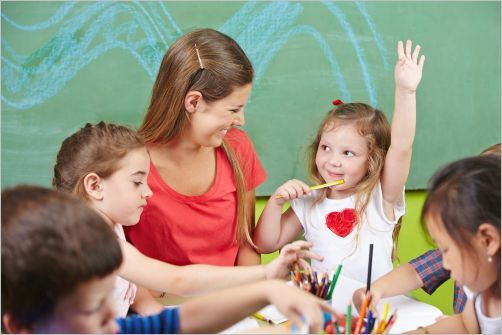 Parenting preschool children is all about love, consistency, and gentleness. Help your child navigate in this big new world that is opening up to him or her. Teach him self-control, and as he makes his first forays into relationships encourage him to be a good friend. Teach him the difference between truth and lies, between fairness and cheating. If there’s behavior you want to see from your child, model it in your own life. Your little one is trying to figure out the differences between good and evil, and you want him to see good when he looks at you. Inconsistency between what you teach and what you do leads to a very confused toddler or preschooler. Treasure these preschool years, for they will soon be over and you will wish you could have them back.